with maybe something sewing related? Thank you to all the positive encouragement I have had with this project! I feel much more confident about finishing this now! ....with only one full one to make! 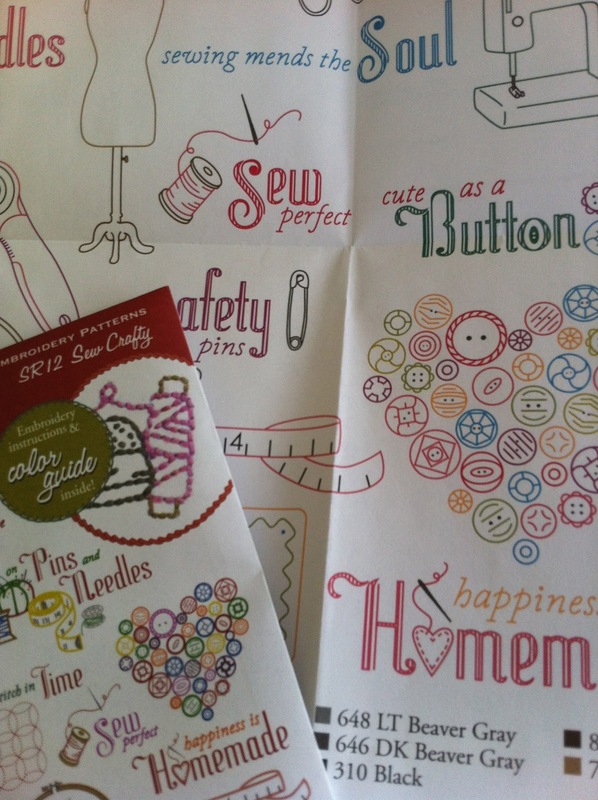 Linking up with Lee @ Freshly Pieced! Now I am back at work I expect progress will slow down some! 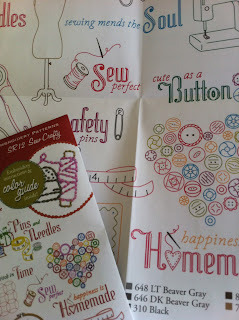 Happy sewing- when I can! 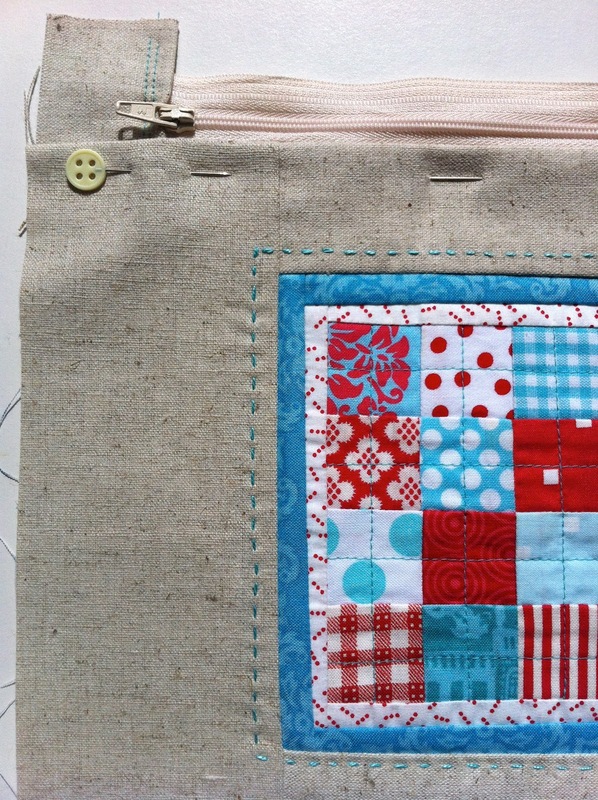 I like that mini quilt a lot. 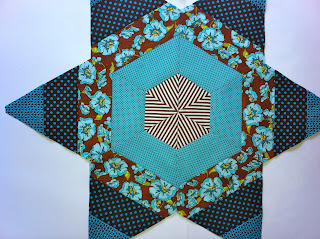 I love string quilts of any sort. I also like all of your scrappy stars and english Paper pieced stars. Very beautiful. 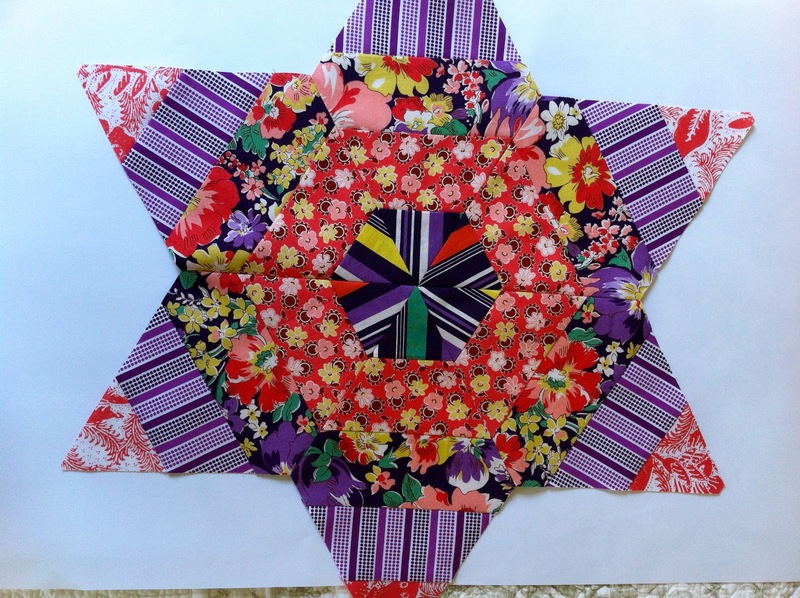 Suz, you have so many awesome projects on the go! Yes Suz, amazing projects all looking great. You're making some beautiful things. I love jazz hands! 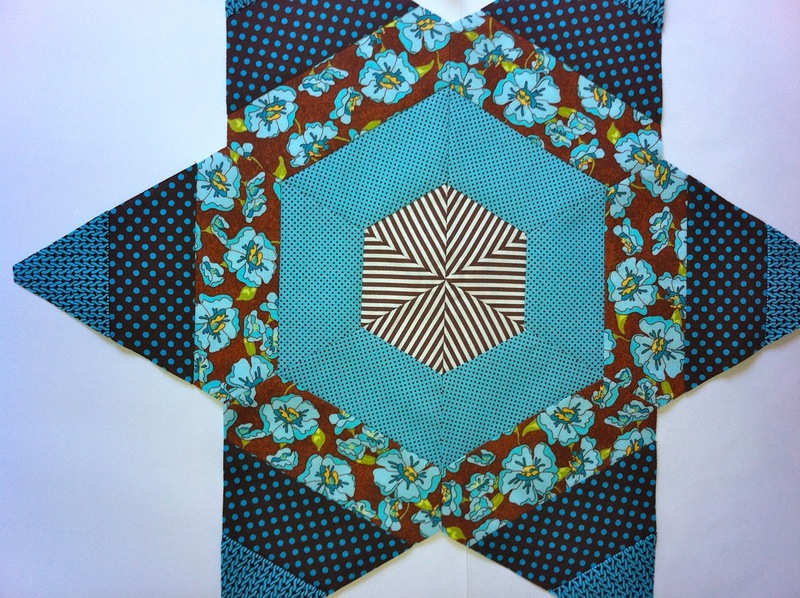 Everything looks wonderful, but I think the mini quilt is especially striking! Still your favourite non follower! Oh that mini-quilt is exquisite! And I think that some more handstitching along the zip would look stunning. The current stitching around the front design is so neat and so effective! Gosh! 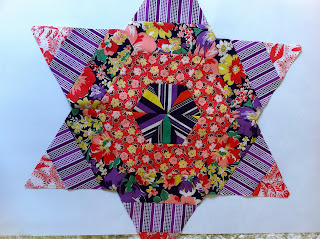 Both that mini quilt and those kaleidoscope stars are gorgeous! I definitely look forward to seeing how they develop! All are fantastic...but I love the mini..so completely different. Oh my goodness, you'd better slow down, you're making me dizzy! 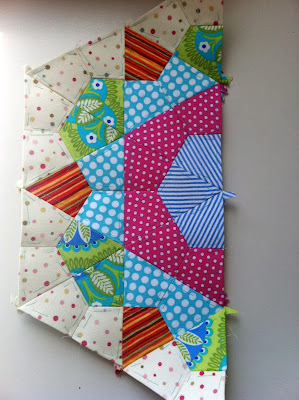 love the string blocks tot, they look so amazing in solids. Not sure I've seen that done before, very striking! i like how your stars are turning out. keep on with the solid project- its going to look awesome. You are working on so many lovely projects. 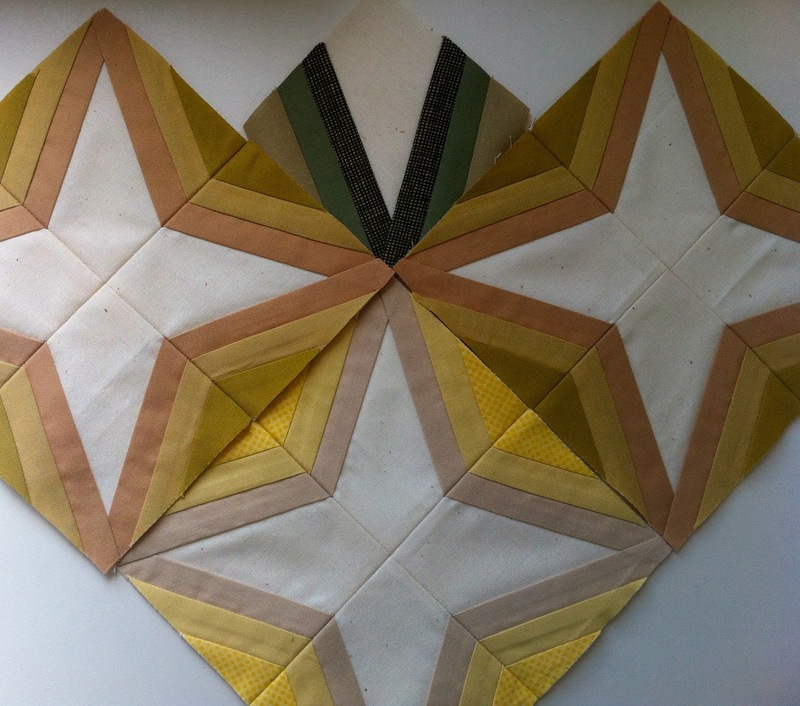 I do love your stars and your EPP. Shame work need to get in the way. 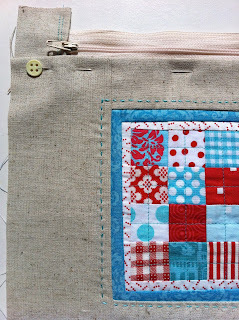 It is all wonderful, I love the EPP and I hope you added more stitching to the zip, it is lovely. I've just shouted patchwork n play at the breakfast table!! You seem to have appeared in my blog feed!!!!!!!!!!!!!!!! Hooray. Thanks for the warm wishes, its v. cold here today!! Love the Jazz Hands! So fun to find you via WiP! your jazz hands block is astounding!